I am very proud and happy to annouce to the membership that as of this morning (12/6/11) our latest addition to the WP family has arrived Portola. After months of work and communtication, the Union Pacific has graciously donated the UPY 1042 to the FRRS. 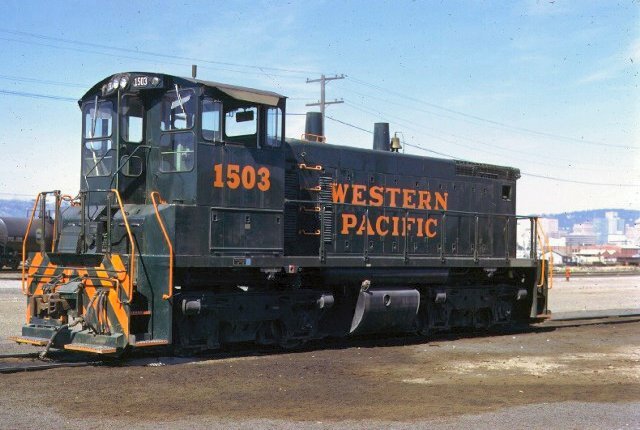 This locomotive is the Western Pacific 1503 SW1500. It cosmetically does not look the greatest but as soon as possible will be restored to its original as delivered condition. I will get some pictures of it tommorow and try post them. Thanks to the UP for this!